As a healthcare decision-maker, do you sometimes feel overwhelmed by the amount of data and reports available to you? Sifting through and interpreting this information may seem like a never-ending task. Healthcare dashboards can help you understand the data and make the right choices for your patients, staff and the bottom line. 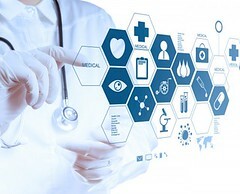 Since the Health Information Technology for Economic and Clinical Health Act of 2009 was passed, most healthcare organizations started using electronic health record (EHR) systems at their facilities. This data can come from different areas and departments, such as labs, radiology or urgent care. Also, some organizations take a long time to gather and consolidate data since it’s collected from many sources and in different formats. How Can Key Decision-makers Use This Data? To leverage the information gleaned from EHR, decision-makers need the right tools to spot trends, issues, and potential problems. A healthcare dashboard makes it easy to integrate data and key measures in real time from various sources so you see what’s happening at your organization at a glance and make any necessary adjustments. You can set up customized alerts and notifications so you immediately know about an issue that concerns you. You get the big picture of your organization so you can set priorities, brainstorm solutions and act quickly. Instead of being surprised by a trend, you’ll see signs early on and take preventive steps before it becomes a problem. Here are a few examples of how a healthcare dashboard system can help management at a healthcare organization. Doctors and healthcare professionals have access to comprehensive clinical data about their patients. This assists them to make informed treatment choices quickly and safely. Remotely access a patient’s chart. Get alerts about lab results. Give patients reminders about preventive care. Write a prescription that’s sent electronically to a pharmacy. The HealthIT.gov website featured an example of how a medical group leveraged their EHR system to improve the quality of care for diabetic patients. This medical group had more than 330 healthcare professionals who cared for about 200,000 patients in central Massachusetts. The medical group used a clinical decision support system to help improve care and patient outcomes. The primary goal was to help diabetic patients keep up to date on preventive screenings such as eye exams and blood sugar testing. The system alerted office staff to remind a patient setting up a visit to get the appropriate preventive screenings before the appointment. During the exam, if the patient still had not completed the screening, the doctor would be alerted to remind the patient about the test. After the visit, the system would automatically create a reminder letter for the patient to set up a screening. What were the results of this approach and system? The HbA1C screening rate for their patients increased from 94% to 97%. Changes in revenue trigger alert to management and Finance to investigate why this is happening and take steps to reverse a negative trend. Increases in the cost and time spent on information technology (IT) projects are highlighted for the Chief Information Officer to monitor and intervene. Losing employees at a higher than expected rate sends an alert to Human Resources to identify the cause and prevent more turnover. This may be a bit too simplistic, too, because healthcare treatments and attention don’t always follow a simple office visit and everything is done. There can be many doctors and healthcare professionals involved in one person’s care, such as cancer treatments or an automobile accident. But, what if a patient wasn’t subjected to unnecessary tests or follow-up visits? What if a better path to recovery involved policy changes that the patient never saw, but included more efficient care? These and other questions could be answered positively each and every time with the help of healthcare cost accounting. With more efforts put in by the healthcare professionals, and with close attention paid to information revealed from the ongoing collection of data, patients will see results in their care, and organizations will see a significant drop in the financial burdens previous placed on them. One change could mean a world of difference, but this means dropping the old way of doing things and moving to a proven set of standards that can and will make a difference.